AppTweak is a powerful ASO tool that provides you with all the data and insights you need to increase your app's visibility and boost organic app downloads. We will be at the MAU in Las Vegas on May 1-2, come and talk ASO with us! Easily spy on your app competitors' metadata and screenshots. Find what keywords they are ranking for or what keywords they bid on. Review your apps' visibility and compare your progress to your competitors. At AppTweak we go even a step further and provide app download and revenue estimates for any app in the Apple App Store and Google Play Store. Get actionable and personalized recommendations to maximize your app’s visibility and improve your app rankings with our ASO Report Tool. Easily compare your app metadata and visuals with the competition and get inspired. AppTweak is a very easy to use ASO tool and offers a really nice interface. Very easy and quick communication with the team. They always provide the details you ask for! AppTweak is the best tool for my ASO requirements. Many ASO tools were limited in the number of countries provided but AppTweak helps me localize my apps where I need it. We use AppTweak amongst other ASO tools to delve into keyword optimization for various clients. It offers some great features in terms of competitor insights, visibility scores etc. In particular, it’s UI is simple and straightforward. New to App Store Optimization? Are you new to App Store Optimization? Use our guides to learn more about ASO, app store ranking signals, how ASO is different for the Apple App Store & Google Play Store and how to get started. Discover our ASO webinar series! 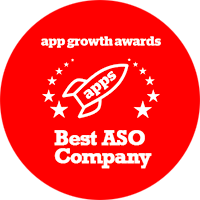 Get more insights into ASO, receive tips on search ads best practices and learn how AppTweak can help you meet your app marketing goals. We have created a range of free ASO tools to help you boost your app visibility, improve keyword rankings and increase your app downloads. Or use our Algorithm Tracking Tool to check major App Store & Google Play algorithm updates. and Google Play Store in 70+ countries.